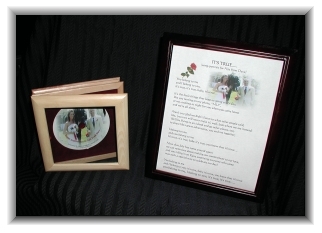 “The song, containing my husband’s wedding vows to me, was the most romantic gift he ever gave me. I couldn’t stop crying. I will treasure it forever." 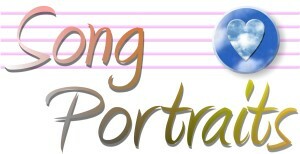 Song Portrait - A Song Portrait is your feeling, professed in lyrics and music... a moment in time artistically saved for posterity. The process is simple. We interview you and get to know your message so that from there, we can write, arrange and perform on CD a memory that will last generations.